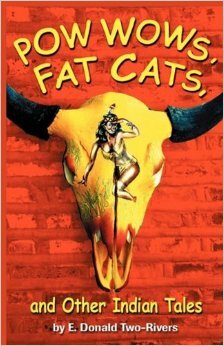 FAT CATS, POWWOS, AND OTHER INDIAN TALES, 2nd. edition (2009) of the original 2003 book with afterward by Denise Low, glossary, and bibliography. $12. ISBN-13: 978-0980010268 ISBN-10: 0980010268 Paperback: 88 pp. Cover art by Chris Pappan. 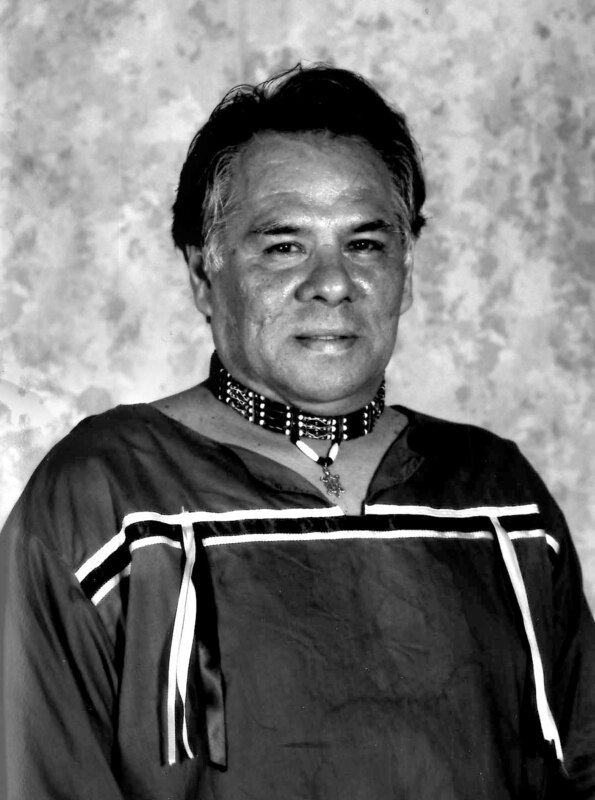 E. Donald Two-Rivers, known by friends as Eddie, was an Anishinaabe (Ojibwa) activist and writer who used words, not violence, to promote civil rights for all oppressed people. This is his only collection of poetry in print. This Chicago “urban Indian” addresses issues of corporate greed, worker exploitation, and prejudice. His writing has more than one note, however; he also writes of his traditional upbringing in the Canadian forest, deftly incorporating Ojibwa language, and tender love lyrics. In the 1990s Two-Rivers founded the Red Path Theater Company, for which he acted, directed, and wrote plays. His honors include the American Book Award from the Before Columbus Foundation in 1999 for a collection of short stories (Survivor’s Medicine, Oklahoma University Press) and the Iron-Eyes Cody Award for Peace, 1992. He lived in Green Bay, Wisconsin, from 2002 until his death in 2008. In an afterward, Denise Low gives biographical and critical overview of this seminal Civil Rights era activist.